As already mentioned, Instagram has been recently discovered as an excellent branding tool for companies. Instagram creates opportunities to conduct real-time market research, provokes a buzz about the services or products you are providing, and might be also an excellent tool for customer engagement and intuitive marketing. But someone new to Instagram might wonder: What is the best way to use this photo and video sharing application? 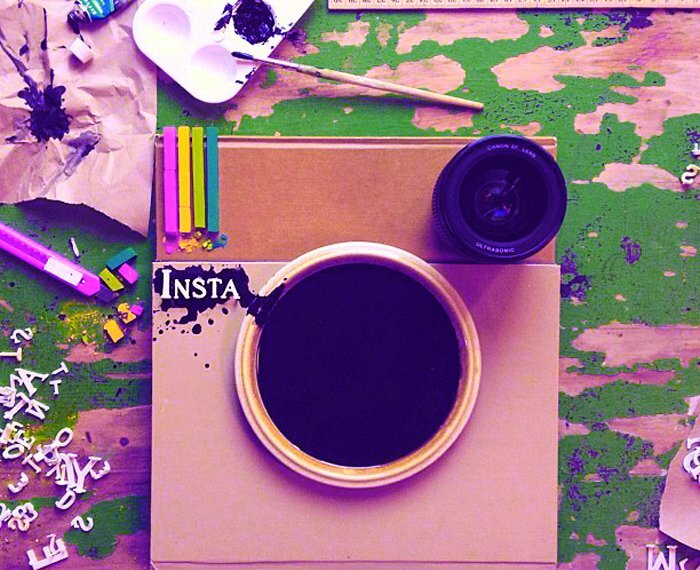 Here are some of the specific activities you can do on Instagram to get your business noticed. Getting started on Instagram is fairly straightforward. Begin by signing up for an account (you can use the same name as your Twitter handle if you wish) add a profile photo, for example a brand logo and then link your Instagram account to your website. Connect your account to Facebook and let your followers know they can follow you there. Don’t forget to optimize your profile: Instagram profiles – like their counterparts on Twitter, Facebook and other social networking platforms – need to include brand information in specific ways (such as: maximum number of characters, specific image sizes, attention to branding). It is important to regularly check the Instagram for Business blog as this offers tips, brand spotlights, API examples and news from InstagramHQ. The infographic below, developed by Gerry Moran provides you with all the information you need to construct your Business Instagram profile. With Instagram, you can show off a collection of your goods. You can either make nice photos of your new products, or zoom in for a close shot on one product. You can also ask your users to take photographs of your products and submit them. Nice photos attract users, but conversations engage them. Those conversations are possible with Instagram. If your business is service-oriented, you can also show off the supplies and equipment that are essential to the services you provide. An important tip is to balance fun images with pictures from your business. A good example of a business that found the right balance between both is Anthropologie. This is a company that is dedicated to fashion, accessories and homeware. Their Instagram followers enjoy fun images as well as business ones. For example, a puppy picture received 7,640 likes, while a picture of their personal shoppers posing at a company luncheon event received 3,457 likes. Introducing your followers to the people who keep your company going humanises your brand. You can use Instagram to photograph different employees, and use the caption option to write a bit about them. Another idea is to make an ongoing campaign that features staff from different departments within your company. A great example is Beaucoup Bakery\s account which shares pictures of its staff with the hashtag #beaucrew. It is important that you connect Instagram to your other social networks and use relevant hashtags (#yourbrandhere) to make it easier for people to find your account. Connect to your Facebook account and use relevant popular hashtags. It is also advantageous to follow other brands on Instagram. Another possibility is cross-posting selected images to your Facebook page with a hashtag that aligns with your campaign or brand image. This helps people who don’t know that you are on Instagram to find you there. Statigram is a great tool for finding brands as well as hashtags that relate to your brand. Simply enter the brand name or hashtag into the search box and click Search. 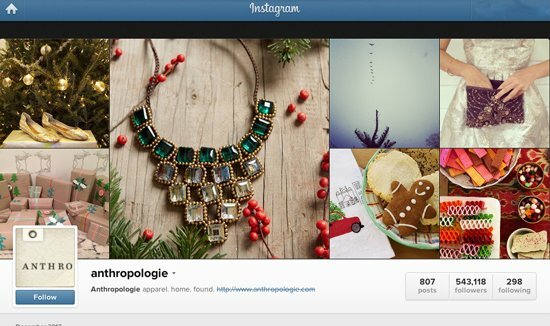 Use Instagram to engage your followers by facilitating user-generated content. Challenge them to post pictures evidencing creative uses of your products. You can ask questions in your photo captions, and answer your followers’ comments. If your business is service-oriented you can show before and after pictures. For example, if you work with fitness, landscape or interior design this works really well and customers can see the impact before and after your intervention. 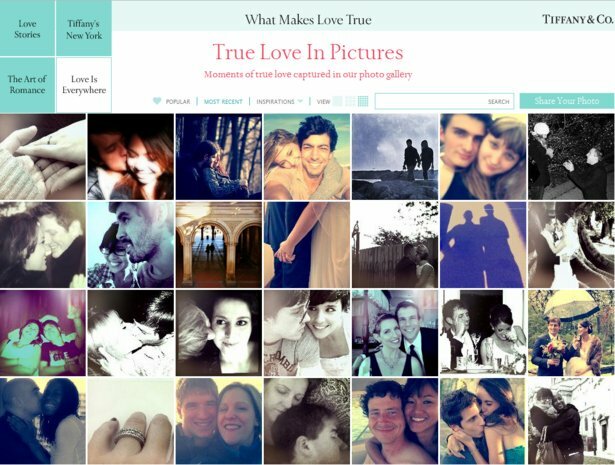 Tiffany’s Instagram campaign around the theme of “true love”, is a successful example of engaging with followers. The company sent out some Instagramers to document images that represented true love in New York and Paris, and then shared these images through its account. They also encouraged fans to take and submit photos of their own true love, and they had thousands of submissions. Customers have a natural curiosity about where their products come from, and you can use Instagram to show the origins of all their favourite products. You can take photographs throughout the manufacturing process while your products are being produced. Any stages could be of interest, from planning to delivery. You can also anticipate news of what will happen soon in your business, if it is a business that provides services. To use the 15 second video function that Instagram provides could be really helpful for your business because not many businesses have caught on and started to use the Instagram video functionality yet. Adding more videos to your account can give you an advantage over other brands. You can also embed your Instagram video to your blog or website to extend the reach of your content. An alternative way of using video with Instagram was explored by the company LexusUSA. The company had an innovative idea of making #LexusInstafilm using 212 Instagrammers’ images to edit together a 3:44 Instagram video to showcase the 2014 Lexus IS. As one Instagramer says in the video, the Lexusinstafilm is a great example of what Instagram is, namely, “A community that comes together.” Just like LexusUSA you can transform crowdsourced images into an exceptional video message that features and highlights the creativity of your loyal followers. If usually it is considered that it is not advantageous to use more than two hashtags in a tweet, that rule does not apply on Instagram. Evidence has shown that using four to 11 hashtags can increase on average up to 77 interactions per Instagram post. When you are incorporating hashtags into your Instagram post try to integrate them seamlessly into your post caption rather than jumbling them all up at the bottom. You can track the relevance of your Instagram hashtags with Nitrogram. This is the Instagram analytics and engagement platform and it provides key metrics on hashtags including contributors, content, engagement and context. It is well known that there are optimal times to post on social media sites but with Instagram it is different. Instagrammers are on the platform interacting at all hours of the day and every day of the week. That is because they interact with the platform through their mobile devices. People are seldom away from their phones. This means that posting at various different times of the day will expose your business to a variety of different audience segments. Depending on your company, you can find creative ways to showcase your products and services. 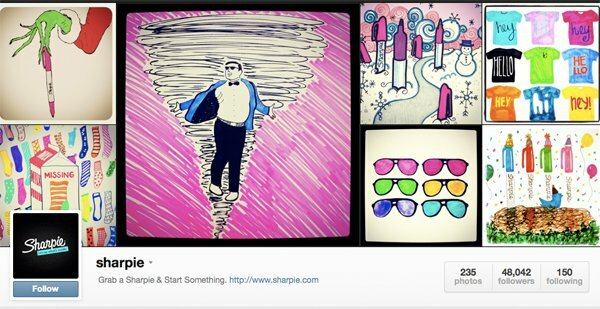 Sharpie, a company that makes markers and pens, posts to its Instagram account pictures of drawings created using a myriad of colours. Another case is Puma. Puma did not have the strongest Instagram following so it decided to outsource its advertising. Rather than relying on its own following it selected a group of influential Instagrammers to promote Puma’s shoes by sending some of these “photographers” overseas to places like Abu Dhabi. This was done with the theme that they were chronicling the “awesome places that shoes take you.” Puma guaranteed that many people would see these photos by using the aid of successful Instagrammers. This was a smart move on the part of Puma. It might be useful to know how your brand is doing on Instagram, to get an idea of how much work you have to do to improve your visibility. Image analytics tools such as BlitzMetrics and Curalate can provide your business with detailed insights. With these tools you can identify images and video that resonate with your fans and followers.